Heat-resistant steel but not heat-resistant. As the temperature increases, the strength decreases. When there is radiant heat around, at temperatures above 150 degrees, shelter should be taken. In the event of a fire, if the structure temperature reaches above 500 degrees Celsius, all may collapse instantly. In order to improve the fire rating of the steel structure, it is usually wrapped with concrete or brick. Steel is susceptible to corrosion in humid environments, especially in corrosive media, must be painted or galvanized, and should be regularly maintained during use. First, the steel structure buildings can better meet the traditional building more flexible separation between the requirements of large open and can reduce the column cross-sectional area and the use of lightweight wall panels to improve area utilization, effective indoor use area increased by about 6 %. Second, the energy-saving effect, the wall with light energy-saving standard prefabricated wall panels instead of clay brick, thermal insulation performance, energy saving 50% per household per square meter can save heating cost of 18 yuan. 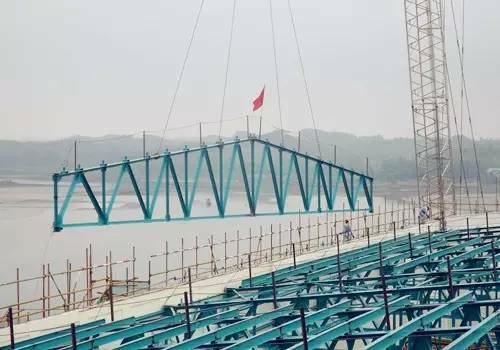 Third, the steel structure system for residential construction can give full play to the ductility of the steel structure is good, plastic deformation ability, with excellent seismic wind resistance performance, greatly improving the safety and reliability of residential. In particular, in the event of an earthquake or a typhoon disaster, the collapse of the building can be avoided. For example, in 1995, the great earthquake of hanshin in Japan, the 1999 earthquake in Taiwan, had almost all the steel structures buildings made of H steel.